For some time, it was possible to win the hearts of trade-sceptics by providing explicit numbers reflecting the losses from protectionism, but the larger public seems to have become increasingly indifferent to evidence-based debates. In today’s world a majority of individuals appear to expect the effects of globalisation on their lives to differ from those on the overall economy. This article argues that the challenge for economists is to bring the trade narrative from the aggregate to the local or firm level. By linking trade to localised personal well-being, an increased focus on micro-economic evidence has the potential to generate stronger narratives and greater credibility among voters. Let’s face it. International trade has been going through a bit of a crisis. And it’s not just the global trade slowdown or governments’ difficulties concluding or ratifying major trade agreements. Arguing convincingly in favour of free trade has become increasingly difficult, as witnessed by the impact of vocal opponents in recent debates surrounding trade negotiations. For some time, it was possible to win the hearts of trade-sceptics by providing explicit numbers reflecting the aggregate future economic gains from trade or the losses from protectionism. To assess the future, computable general equilibrium (CGE) modelling was the preferred tool used by economists; CGE simulation results found their way into important trade policy debates, for instance during the Uruguay Round negotiations or in the run up to the 2013 WTO Bali Ministerial. While routinely used in trade policy, impact assessments, and public debates to assess the likely effects of trade agreements, the findings of CGE models have also always encountered scepticism. As early as 2005, a study published by the WTO emphasised the importance of using thorough robustness checks and of interpreting individual numbers generated by CGE models with care, as a proactive way of dealing with such scepticism. In a series of well-publicised studies published by Carnegie Endowment, it was shown to which extent the size of welfare gains depended on modelling assumptions. Using economic modelling as evidence in WTO dispute settlement proceedings was also tricky, as panels were notoriously demanding when it came to convincing them that quantitative evidence was robust and reliable enough to influence their decision making. While economists have always had their fair share of disagreement and debate on the finer analytical points, what is more worrying, in our view, is that the larger public has become indifferent to evidence-based debates. This may be because they cannot relate to the abstract figures generated by macro-modelling exercises, or because such estimates have entirely lost credibility in their view. This trend is notably reflected in recent political debates in Europe and elsewhere. Many opinion leaders gained popularity while questioning the credibility, neutrality, or reliability of expert-generated findings that many economists would consider of high quality. Is this public indifference a signal that we have entered into an era of post-truth economics, or are economists simply not generating the type of numbers that politicians and voters are interested in? We dare to hope that the latter is the case. After all, it was not so long ago that Piketty’s Capital in the Twenty-First Century, a book based on detailed micro-data and full of quantitative economic evidence, topped Amazon’s bestseller list. Granted, Piketty was not writing about trade. But another publication based on micro-data, this time on trade and jobs, has also received significant public and media attention. It probably helped that the analysis focused on the catchy theme of Chinese imports into the US. But what really contributed to the paper’s ability to speak to a large number of people was how it showed local rather than economy-wide effects. Just as with Piketty, part of the paper’s success may stem from this detailed, micro-data approach. It should not come as a surprise that individuals are more interested in what trade does to their locality or to their job than what it does to the economy in general. Yet, figures published in the World Trade Report 2013 signal that the discrepancy between how voters expect globalisation to affect the economy as a whole versus how they expect it to affect their own lives may be starker than what economists had anticipated. Using survey evidence from European and Asian countries, the report showed that, in most countries, protectionist sentiment did not tend to be correlated with concerns about nationwide unemployment levels. On the other hand, concerns about people’s personal work situation were positively correlated with protectionist sentiments. These findings suggest that the surveyed population acknowledged the potentially positive effects of globalisation on the overall economy, but that many people expected not to be in a position to share in the benefits. In other words, in today’s world a majority of individuals appear to expect the effects of globalisation on their lives to differ from those on the overall economy. Today’s challenge for economists is thus to show that the effect of globalisation on the median voter is positive. One way to do this is to create a more direct link between firms, voters and trade policymakers. Traditional trade policy can be enhanced by a “Trade Policy 2.0” approach, making use of the latest advances in economic theory and growing availability of detailed firm-level trade data. If firm-level trade statistics were used more systematically, trade policy could also come to your town, not just politicians during electoral campaigns. Firm-level trade statistics could also facilitate the identification of case studies of enterprises willing to showcase how they managed to become exporters, or increase their sales and expand their labour force as a result of new trade policy initiatives. A first “Trade Policy 2.0” tool launched by the European Commission in the context of EU-US transatlantic trade negotiations geo-localises every single EU exporter to the US. Take Britain, for instance. From Aberdeen to Plymouth, over 1,000 British cities and towns have firms exporting to the US. In Germany, from Aachen to Wuppertal, over 3,000 towns and villages have successful exporters to the US. Putting exporters on the map offers a great communication potential, as it will help politicians and voters to better assess how many firms in their local communities trade across the Atlantic and are likely to benefit from a future trade agreement. A similar tool, dubbed #CETAcomes2town, was launched to better inform European and local politicians and had a significant impact during the ratification process of the EU-Canada free trade agreement in the European Parliament. The leap towards “trade policy analysis 2.0” does not mean that current analytical tools should be discarded. Quite the contrary. Current CGE models contain the seeds for their own evolutionary course towards greater policy relevance. New theoretical advances and the wealth of empirical firm-level data used recently in extended models make the goal of building a “trade policy 2.0” CGE modelling platform look more attainable than a couple of years ago. Another promising set of initiatives would require policymakers to pay closer attention to drivers of competitiveness at the local, sectorial, or firm level. In doing so, governments could design and implement policies that respond more directly to immediate voter concerns. The International Trade Centre’s small and medium-sized enterprise (SME) competitiveness framework can be used for this purpose. Starting from the premise that it is ultimately firms that trade, the framework provides a way to assess whether bottlenecks to trade are occurring at the firm level, in their immediate eco-system, or at the national policy level. This makes it possible for policymakers to reach out to firms and their employees by developing a competitiveness narrative and strategy in parallel with their trade policy narrative. Along these lines, the latest SME Competitiveness Outlook reports find that, in a country like Indonesia, reaping the benefits from trade liberalisation would be facilitated by strengthening medium-sized firms’ capacity to compete, in Thailand by paying attention to e-connectivity of SMEs, in Ghana by assisting entrepreneurs in defining a competitive strategy and by reducing the interest rate spread, and in the EU by assisting exporters in meeting technical and conformity assessment requirements related to technical barriers to trade and sanitary and phytosanitary measures imposed by partner countries. Bringing the trade narrative from the aggregate to the local or firm level is challenging, as it requires more information and more complex analysis. But if potential errors or analytical weaknesses are more easily identified by immediate stakeholders, this may also lead to improvements and more meaningful estimates. It is true that increased transparency about where losers of trade policy changes are situated might further complicate the domestic political debate. But given the current extent of anti-globalisation sentiments, attempting to find a more convincing way of communicating about trade can only help. By linking trade to localised personal well-being, an increased focus on micro-economic evidence has the potential to generate stronger narratives and greater credibility among voters. An earlier version of this article was published on 7 February 2017 on VoxEU, the Centre for Economic Policy Research (CEPR) Policy Portal. 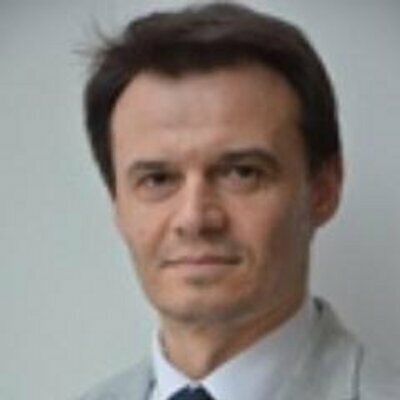 Lucian Cernat is Chief Trade Economist of the European Commission. Marion Jansen is Chief Economist at the International Trade Centre (ITC). The views expressed in this piece are those of the authors and do not necessarily reflect the views of the European Commission or the ITC.